Landscaping Materials Milton | Delivery | Petrie’s Quality Topsoil Ltd. 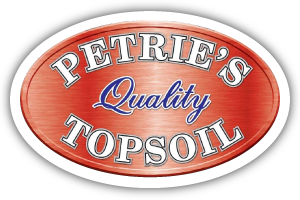 Arrange for Petrie’s Quality Topsoil Delivery Service or Pick-Up Your Own Products! All of Petrie’s Quality Topsoil Ltd.’s products are sold in bulk (loose), and we now offer our NEW TNT Super Sacks, all available for delivery in the Oakville, Burlington, Milton and Mississauga areas! We offer fast and friendly delivery for bulk shipments, with a minimum of 1 cubic yard per product. For your convenience, we’re able to offer delivery of up to three products in one shipment (subject to the quantity of product and the type of product). We are able to offer same-day delivery whenever possible (depending on how many orders we already have on our boards), and we offer GUARANTEED next-day delivery for all your needs. If you prefer to pick-up your own garden and landscaping materials at Petrie’s, just drive into our Milton location with your pick-up truck or trailer, and we’ll be happy to help you load your products. For more information about our availability and/or pricing, please contact us!